Today every smartphone manufacturer provide increasing screen size Best 6 Inch Smartphone Under 20000 Rs because now the hole youth wants big display mobiles in their budget. Big display phone under 20000 is the best choice to enjoy your mobile content whether that is Movie, video songs, social chatting, games or surfing internet. One more thing Best 6 inch smartphone under 20000 Rs. in India is very demanding because they also have the best processor, camera, build quality, display resolution, and battery life. that can perform very well in all aspects. Now Smartphone manufacturer also makes bezel-less display phones with 6 inches display that gives you more premium looks at your phone and great user experience in the mid-range segment. Heare I am making the list of best 6 inch smartphone under 20000 Rs. with enough details. List of best 6 inch smartphone under 20000 Rs. Details of best 6 inch smartphone under 20000 Rs. This best 6 inch smartphone under 20000 Rs. has 6 inch screen with 18:9 aspect ratio edge-to-edge display and supports 2160 x 1080 FHD resolution. OPPO F5 is powered by 2.4 GHz MediaTek 6763T octa-core processor along with 4 GB ram and 32 GB of internal memory that will expandable via micro SD card. This big display phone under 20000 has a unibody design and 16 MP back camera with flash and 20 MP selfie camera for wide angle selfies. Oppo F5 is the best selfie smartphone under 20000 Rs. with a wide-angle 20 MP camera that gives you very clear pics. The big display phone under 20000 Rs. Inbuilt with 3200 mAH battery that lasts long for a day. The smartphone supports connectivity option like Bluetooth, WiFi, fingerprint, 4G LTE, Dual SIM, FM Radio etc. This is the best 6 inch smartphone under 20000 Rs. with full view display design and supports 1440 x 720 HD resolution. 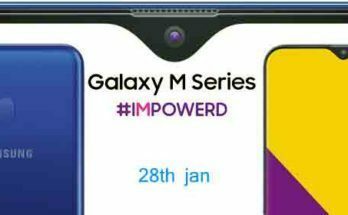 The M7 power powered by 1.4 GHz Snapdragon 435 chipset along with 4 GB ram and 64 GB of internal memory that will expandable via micro SD card. This 6 inch display Phone under 20000 comes with inbuilt 13 MP rear camera with flash and 8 MP selfie camera that gives great photography. Comes with 5000 mAH battery that lasts long for a one and a half day with heavy uses and has connectivity option like Bluetooth, WiFi, fingerprint scanner, 4G LTE, Dual SIM, FM Radio etc. The Honor 9i that comes with 5.9 inches (18:9) which is almost 6 inch display smartphone and display support 1080 X 2160 FHD+ resolution. The Honor 9i is powered by 2.36 GHz Kirin 659 octa-core processor along with 4 GB ram and 64 GB of internal memory that will expandable via micro SD card. This best 6 inch smartphone under 20000 Rs. has a unibody design and 13 + 2 MP back camera with flash and 16 + 2 MP selfie camera for clear and wide angle amazing selfie. You can also buy this as the best selfie phone under 20000 Rs. and also can mention as best 4 camera phone in this best 6 inch smartphone under 20000 list. The big display phone under 20000 Rs. Inbuilt with 3340 mAH battery that lasts long for a day and has connectivity option like Bluetooth, WiFi, fingerprint, 4G LTE, Dual SIM, FM Radio etc. 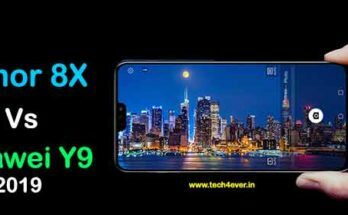 Honor 7x is the latest phone which is a successor of Honor 6x, 7x comes with 5.93 inches (18:9) full-screen display and supports 1080 X 2160 FHD+ resolution. The Honor 7x is powered by 1.7 GHz Kirin 659 octa-core processor along with 4 GB ram, and 32/64 GB of internal memory that will expandable via micro SD card. This best 6 inch smartphone under 20000 has a unibody design and 16 + 2 MP back camera with flash and 8 MP selfie camera for clear amazing selfies. The Honor 7x is the best dual camera phone that produces very clear images in both outdoor and indoor location, and Honor 7x definitely the best choice in best 6 inch smartphone under 20000 Rs list. The big display phone Inbuilt with 3340 mAH battery that lasts long for a day. Smartphone has connectivity option like Bluetooth, WiFi, fingerprint, USB OTG, 4G LTE, Dual SIM, FM Radio etc. This is the 6.4-inch smartphone from Xiaomi that supports 1080p FHD resolution. This big screen phone made of metal and unibody design with great looks. The MI Max 2 powered by 2.0 GHz Snapdragon 625 chipset along with 4 GB ram and 64 GB of internal memory that will expandable via micro SD card. This 6 inch display Phone under 20000 comes with inbuilt 12 MP rear camera with flash and 5 MP selfie camera that decent selfies. Comes with 5300 mAH battery that lasts long for a one and a half day with heavy uses and has connectivity option like Bluetooth, WiFi, fingerprint scanner, 4G LTE, Dual SIM, FM Radio etc. Redmi note 5 is a successor of Redmo nite 4 that is also a very nice phone, let’s come to Note 5 that comes with 5.99 inches (18:9) edge-to-edge display and supports 1080 X 2160 FHD+ resolution. The Redmi note 5 is powered by 2 GHz Qualcomm Snapdragon 625 octa-core processor along with 3/4 GB ram, and 32/64 GB of internal memory that will expandable via micro SD card. This full-screen mobile has a unibody design and 12 MP back camera with flash and 5 MP selfie camera for clear selfies. The Redmi note 5 is the best performer phone, and this is the best smartphone in full-screen phones under 20000 Rs list. The edge-to-edge display phone Inbuilt with 4000 mAH battery that lasts long for a day with heavy uses. Smartphone has connectivity option like Bluetooth, WiFi, fingerprint, IR Blaster, USB OTG, 4G LTE, Dual SIM, FM Radio etc. Redmi note 5 Pro is the first phone with SD 636 chipset in the world, let’s talk about specifications, The smartphone comes with 5.99 inches (18:9) edge-to-edge display and supports 1080 X 2160 FHD+ resolution. The Redmi note 5 Pro is powered by 2 GHz Qualcomm Snapdragon 636 octa-core processor along with 3/4/6 GB ram, and 32/64 GB of internal memory that will expandable via micro SD card. The Redmi note 5 Pro is the best performer phone under 20000 INR, and this is the best smartphone in full-screen phones under 20000 Rs list.